The usage of android emulators has drastically increased in last five years. 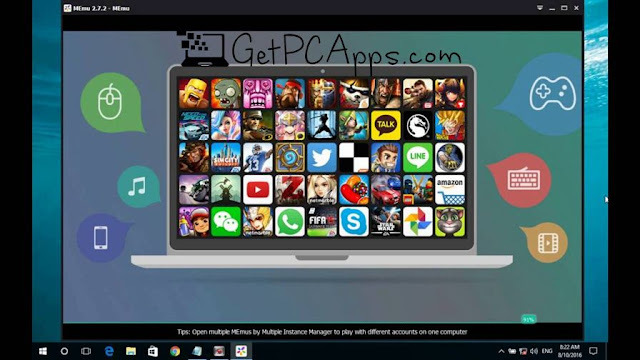 Everyone has an appeal for using android on pc, and benefit from variety of Android apps and hd games directly on windows computer. They are also handy for Android Developers as it is easy to test apps on desktop than mobile device. Also it feels to play games on larger screens. Gaming might be the common reason for emulating Android on Desktop computer. The speed of task execution of android emulators depends on the performance of your computer. In this article, we will give you quick and brief review of ten best android emulators for Windows PC. 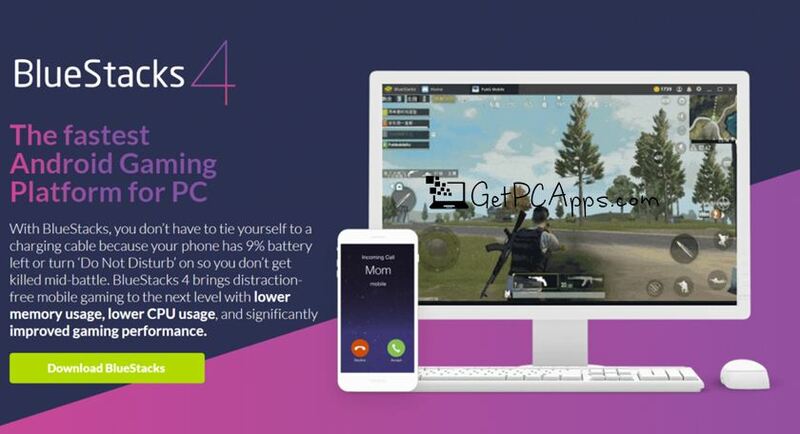 Up to this date, Bluestacks 4 has been the most popular Android Emulator. 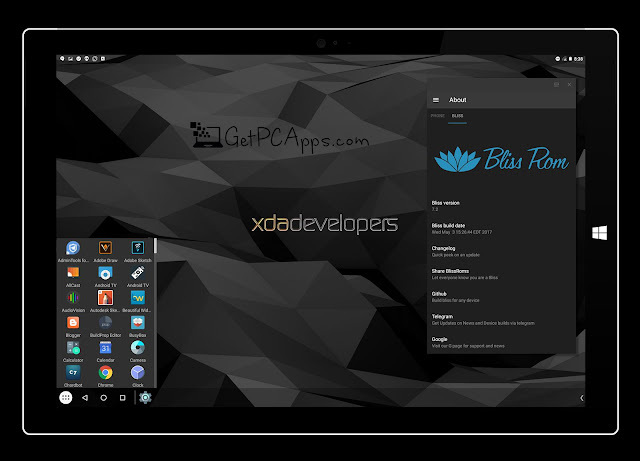 BlueStacks has been designed to provide ease in use, and looks and feels just like Android on a tablet or smartphone. Free and paid-for both versions available. There are some ads and the occasional sponsored app. BlueStacks is actually about games. The interface plays as a front end for downloading and installing them, but you can also visit Google Play Store and search for other apps. You can use standalone APK files, incase you want to add apps and games from other sources. Performance would be decent assuming your hardware is reasonably powerful, making this an optimal way to bring Android to the big screen. Bluestacks 4 comes with full compatibility for all kind of PCs. If you know technology more than common people and looking for something different, you should try Bliss. It is based on Android Oreo. But before using it ensure that your device is compatible, or you may face problems. The set-up is also a bit complicated but once its done, you can allow your PC to run Android natively via USB installation. 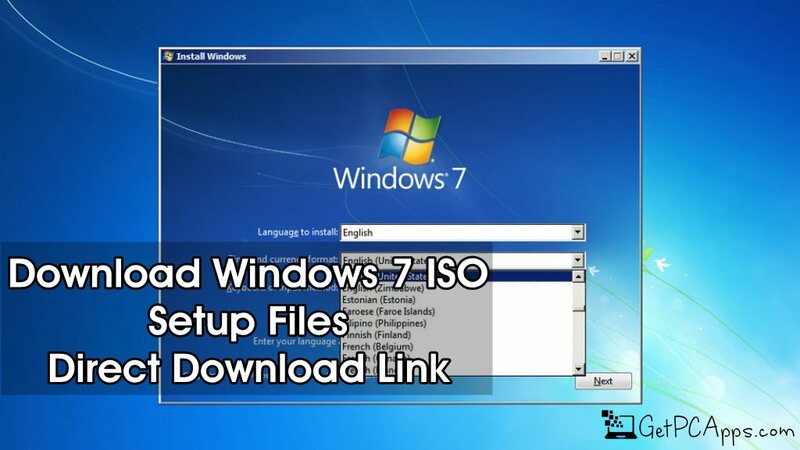 You can also do VM installation, which is bit more simple. 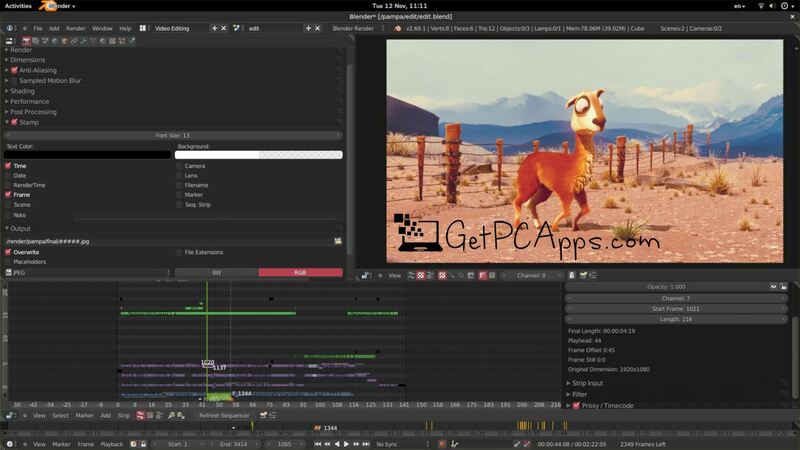 Nox is a quick and slick Android Emulator for PC and MAC. 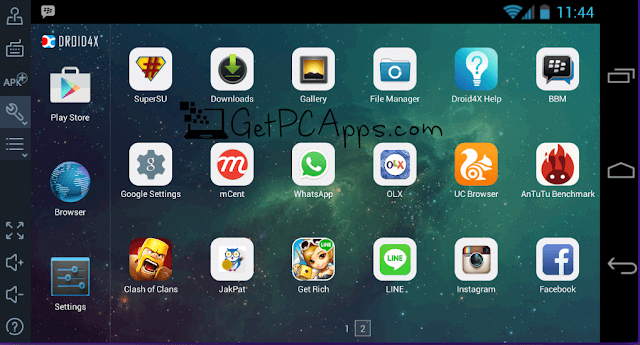 This is a free emulator based on Android 4.4.2 that allows you to sideload apps from outside Google Play. If you are a voracious gamer, you will be glad to know that you can use your favorite gamepad, and map your keys to perform specific Android gestures. Being available for free definitely is an edge over competitors. 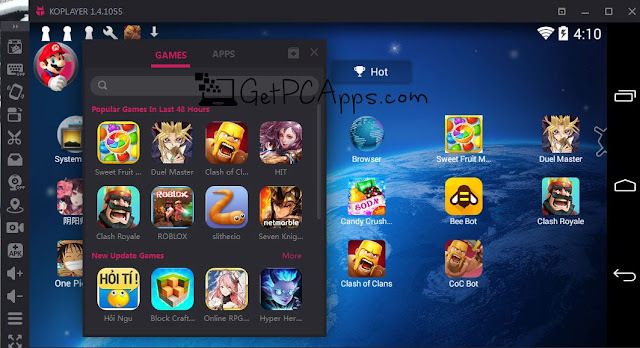 Though Nox is designed for games, but is still suitable for other apps. There are number of extras accessible from a vertical toolbar, on the right hand side of window. You will find shortcuts for screenshot and video recording. Also there is a link to macro record, and the option of installing software from APKs obtained outside of Google Play. Another great advantage is that it has no ads. You can stimulate touch screen, if you have this feature. 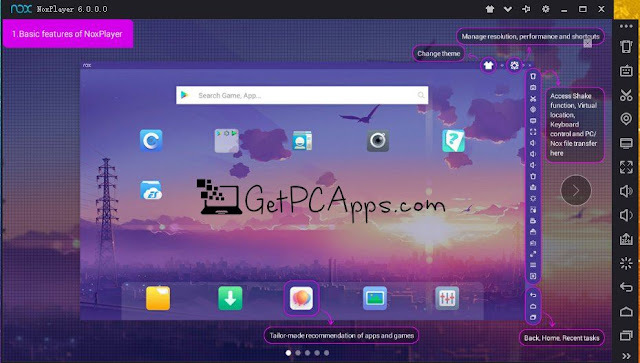 Andy OS is a powerful Android Emulator which enables you to emulate Android on your desktop. Andy is based on VM player. The navigation mechanism is very responsive to mouse. This is a great improvement. Andy consumes 3GB in your Hard Disk. There definitely are unwanted bundles in the installer so be attentive during installation and do not let them in. Andy OS totally supports Xbox and playstation controllers. You can use your phone as gamepad. It also gives you the option of rooting your virtual Android device to run more software. Running Andy OS is not much easy for common people, where as the features offered are not great enough to persuade people for facing problems. Developers should definitely spend some time to make Andy more user friendly. Please note that AndyOS Android Emulator is accused to be using hidden BitCoin Miner with their application, so we do not recommend our users to use AndyOS, as it will slow down their beloved computer system. Koplayer is an older Android Emulator that enables user to run multiple instances. It is aldo designed with gaming in mind. KOPLAYER has two modes, which are Speed and Compatibility. It makes sense to try the Speed option first to maximize game performance. Incase it leads you into problems, you still can avail the option of compatibility. 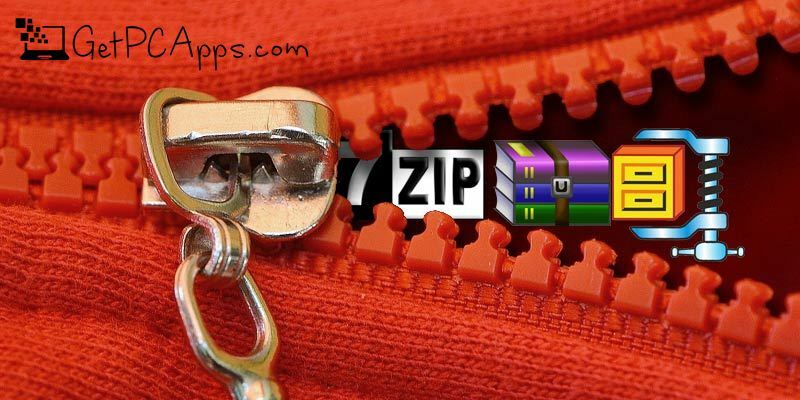 KOPLAYER comes with Multi Manager tool that allows to run more than one instances of the emulator at once. A lot of APKs are available to satisfy non-gamer users, too. Koplayer supports multiple accounts, video recording, gamepad & keyboard, and internal integrated Google Play store to compatible with all apps. As Koplayer has not been updated for so long, it crashes sometimes, even in the compatibility mode. Though Memu is one of the new Android emulators, but it has managed to make its place in the list. Once again, the focus is gaming. 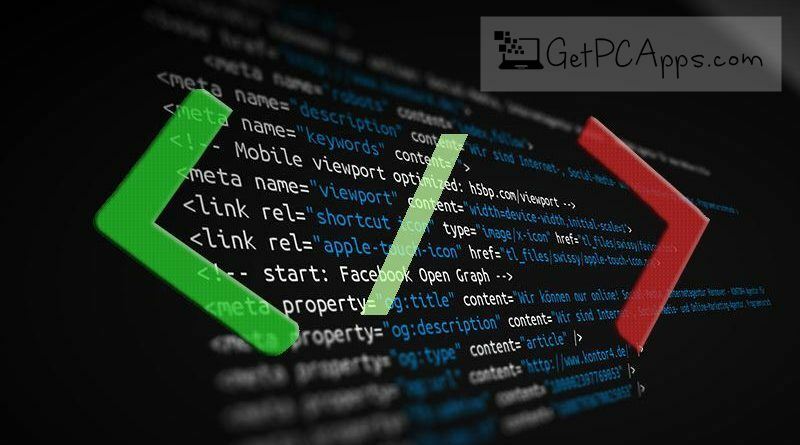 They recommend you to enable virtualization for your PC, in order to get best results. Support level is high enough to support Intel, AMD, integrated and dedicated graphics. For smooth user experience, Memu offers a plethora of keyboard mapping options. You can either drag and drop APKs on program windows or use Google Play Store to install software. Just like Nox, there is a vertical menu that provides access to range of additional features. Driod4X has the most attractive interface which works perfectly fine. This hugely customizable emulator allows the user to have control on all basic Android settings. This is an excellent Android emulator but still less successful if compared to tough competitors like Nox and Bluestacks 3. All gaming controllers are compatible. To verify the controllers, Droid4X asks you to scan QR code. Display resolution and even the performance level is adjustable. You can make the video files of gaming, or basically anything happening on the screen, and toggle image quality the way you want. this is the best top 7 android apps blog i read. very informative and well thought. thank you for this article. good job.